Today we feature the final installment in FinalRune’s 2009 project of old time radio re-creations with the Mad Horse Theater Company. 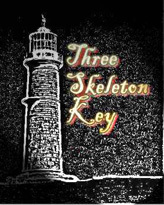 The tale is the classic “Three Skeleton Key,” recorded many times, no doubt, but never before (we suspect) in a genuine Maine lighthouse. The tale? Three lighthouse keepers find themselves the prisoners of their charge once an ill-fated derelict vessel runs aground, unleashing a plague of devilish rats. Nicely done! That must have been a terrific time recording on location like that. Are all of the ambient sounds ‘authentic’ to the location? This reminds me quite a bit of an Episode of The Black Mass. They did an interpretation of an HP Lovecraft story. I think it was entitled “Rats”. I’m familiar with the Black Mass episode you’re talking about – “The Rats in the Walls” – think ARTC did a version, too. Maybe we’ll try it some day?